With summer just around the corner, everyone’s going to be spending much more time outside. It’s time to set your backyard up for warm afternoons and outdoor entertainment, and part of that means protection from the sun with a stylish shade solution. Here’s what you need to know before you buy. While everyone takes time to consider the classic essentials when preparing the backyard for summer - a BBQ, some new outdoor furniture, or a refresh of the garden or pool area - a new shade feature can completely revitalise your outdoor setting. What's more, with the right solution, you'll receive fantastic comfort and protection from the elements year-round. However, a shade feature is not the sort of product you purchase every day, and there are multiple things to consider to ensure you get the best result from your purchase. So what should you look out for? What do you need to think about? And what’s worth knowing before you head in-store? Let’s look into what you need to know before you buy shade cloth or a shade sail. Consider the layout of your space and how you plan on using it. What are you trying to achieve with the shade feature? For example, is it a children’s play area? Kids will need round-the-clock protection from UV rays. Is it an area you intend to use for entertaining? When are you most likely to entertain? Late-afternoon or in the middle of the day? Could you use the product in another season, or take it down or buy a little bit extra to use in another application? Do you just want sun protection, or rain protection also? Do you have an existing structure that can be used with shade cloth or do you need to build a structure? Do you want something new, ready-to-go, or something to cover an existing structure? Is a permanent installation right for you, or would a portable or semi-permanent option be more suitable? Carefully consider each of these factors before you think about going to a retailer. Once you’ve thought about your space and why you’re covering it, you’ll be better placed to choose the product that meets your needs. Now you can begin to consider specific product features like colour, water resistance, strength and durability. Coolaroo Shade Cloth is available in a wide range of different UV blocks, however 90% is recommended for overhead protection of friends and family. All Coolaroo shade sails provide 90% UV Block. Coolaroo’s Water Resistant Sail offers UV Block as well as protection from rain. Obviously, costing is likely to come into consideration now too. Take note of any installation requirements that may be specific to a product. Is it a DIY solution, or do you pay a professional installation fee? Do you need to purchase any extra accessories? If you’re looking at a DIY installation, take the time to see what kind of support and resources are on offer to help you through the process. After choosing the product that suits your functional and stylistic needs, take a look into the ‘fine print’ of the sail or cloth you’re considering. What kind of warranty applies to your specific product? Do you have existing fixing points or do you need to install posts? Do you need approval before you install a new structure? 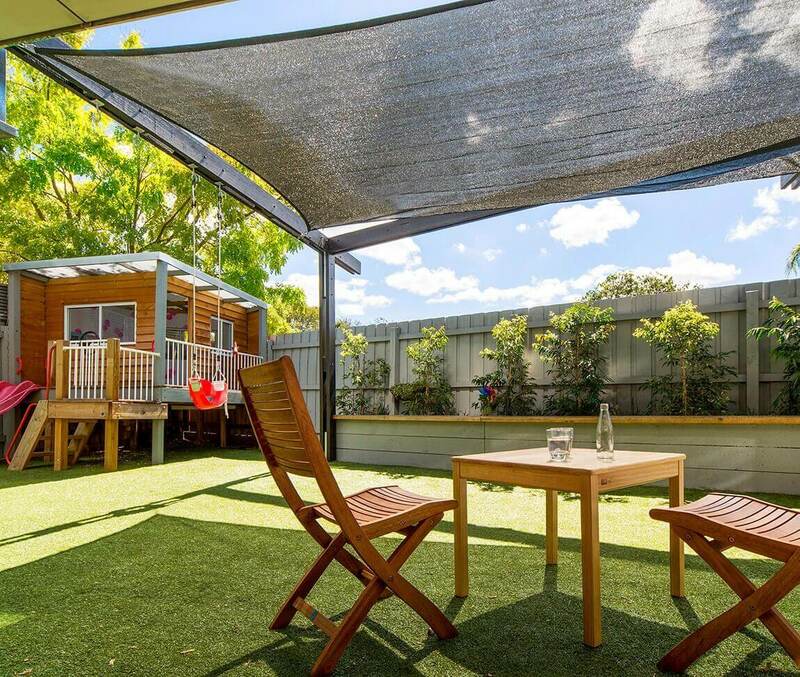 Be sure to establish whether you need a permit from your local council to alter the area you plan to cover with a shade sail. 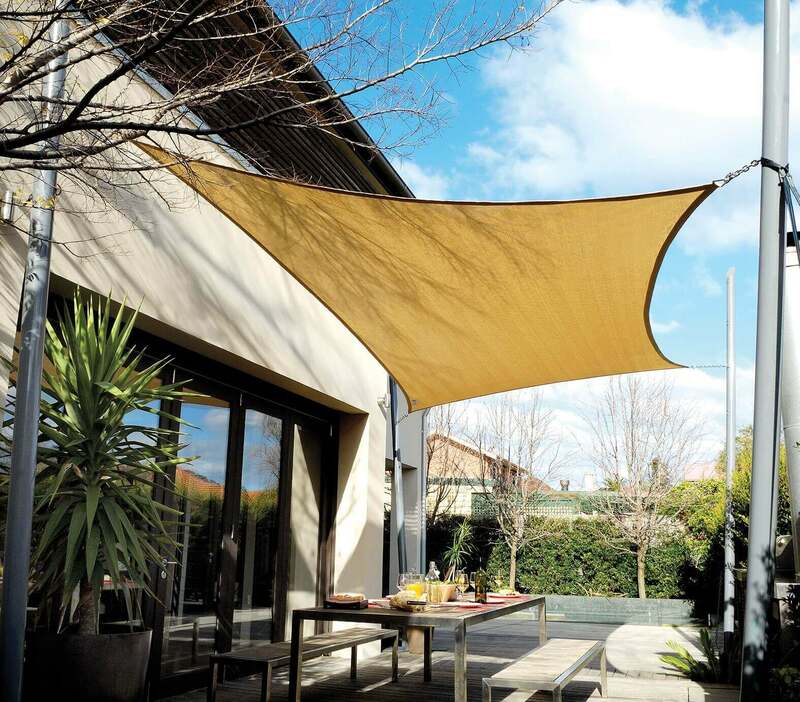 Shade sails and cloth can provide a wide range of fantastic benefits around the home. They are useful in a couple of innovative applications beyond the backyard as well. With a wide range of products and customisable options, you’re sure to find something that fits the needs of your specific space. The best approach is to get informed before you buy. Know your space, research your product thoroughly and know the process involved in getting your feature properly installed. That way, you’ll be well placed to choose the most suitable options from the many shade sails available.